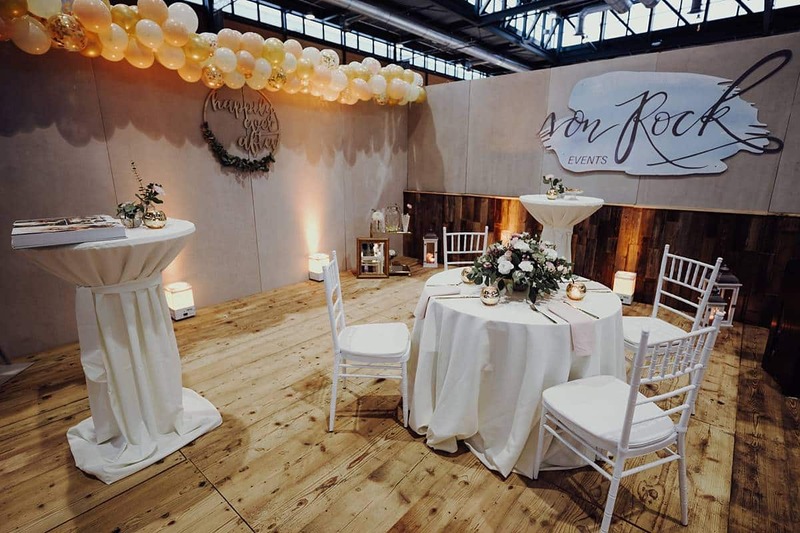 This year we were again represented at the wedding fair TRAU in Freiburg as wedding planners. The visitors could find us at 3 stands. 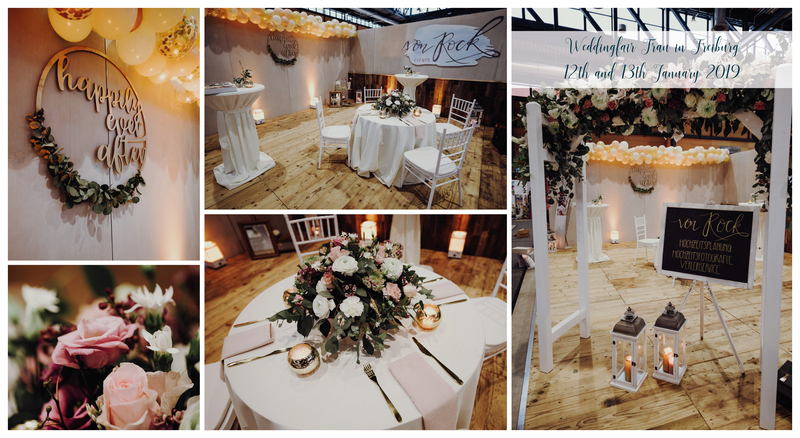 On the one hand we were able to find us with our wedding photographers at the fotoRock stand, as well as with our photo box specialists at the photo booth. 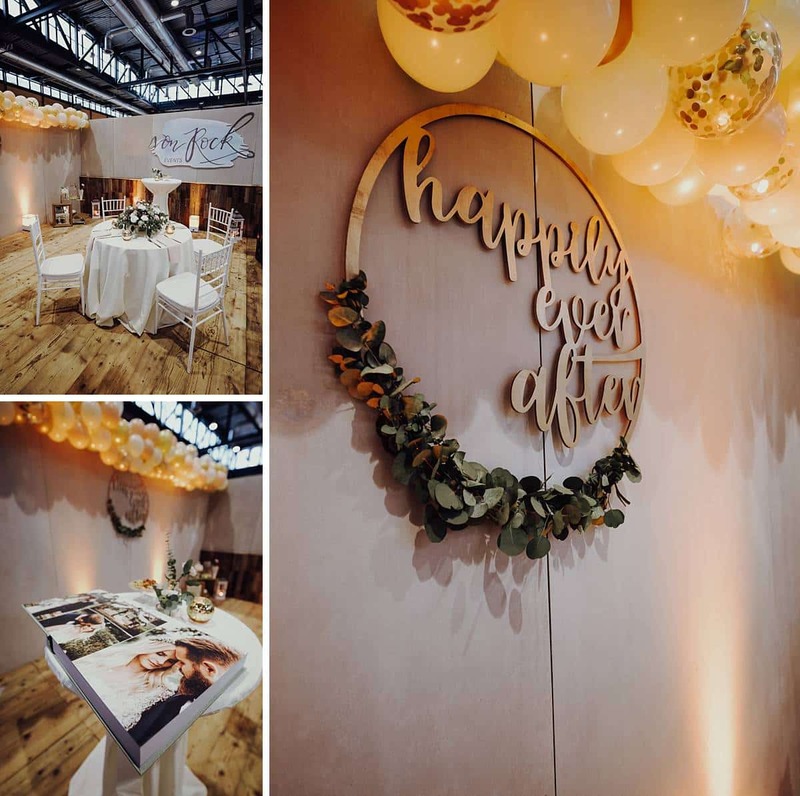 Our wedding planners Anna-Maria, Sonja and Ralf were at the vonRock booth and were able to advise the bride and groom and present the latest inspirations. 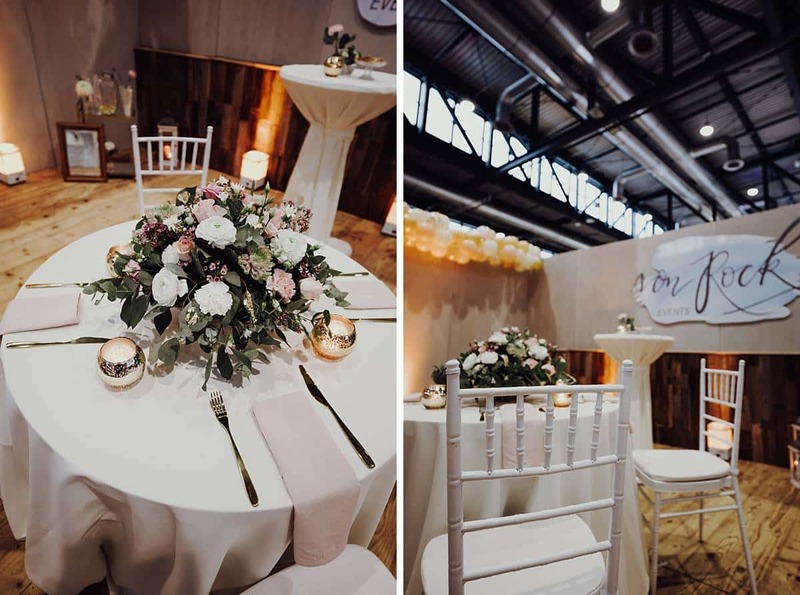 Our stand at the wedding fair was held this year in bright colors with hints of rose and gold. An elaborately crafted stand made of recycled wood and exposed concrete provides the foundation of our décor concept and has been decorated with an extraordinary balloon garland. In the middle of our stand, our decortable with a beautiful arrangement on top. Also our “Traubogen” was full of flowers and thus an eye-catcher and door opener of our stand. From golden cutlery to wedding chairs or great linen napkins – all from one source! 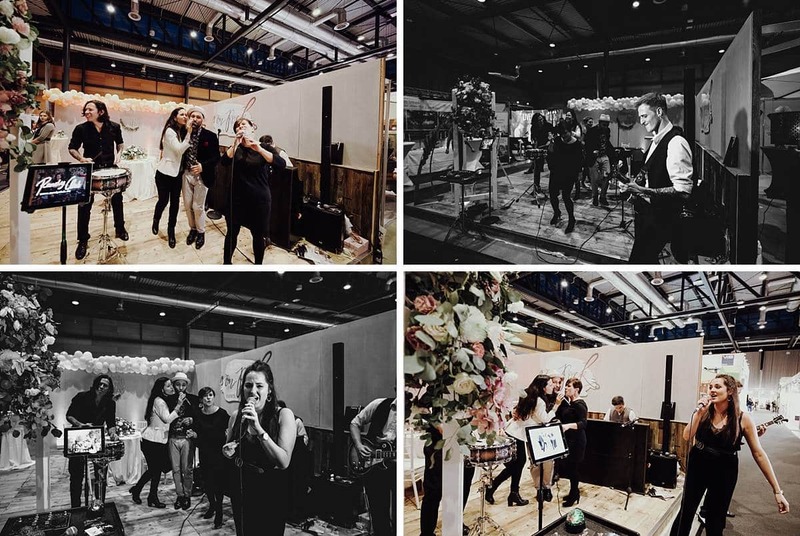 At our stand, the future brides were not only greeted with live music from “Randy-Club”, but also with ice-cold prosecco “Butterflies in the stomach”. This welcome was the basis of many great conversations, which we were very happy about. We wedding planners are happy to receive so much great feedback from newlyweds, service providers, couples and our friends.